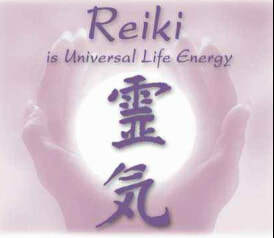 So Reiki is actually ‘spiritually guided life force energy’. Reiki is a Japanese technique for stress reduction and relaxation that also promotes healing. It is administered by ‘the laying on of hands’, or hands positioned close to the body, or healing sent from a distance, and is based on the idea that an unseen ‘life force energy’ flows through us and is what causes us to be alive. If our ‘life force energy’ is low then we are more likely to get sick or feel stress; if it is high we are more capable of being happy and healthy. Reiki is a simple, natural and safe method of spiritual healing which allows the body to absorb more life force energy. It treats the whole person, including body, emotions, mind and spirit, creating many beneficial effects that include relaxation and feelings of peace, security and wellbeing. This natural healing energy flows in a powerful and concentrated form through the hands of the giver. The laying on of the hands (or alternative methods described above) directs the healing energy into the body of the receiver. The Reiki giver is used as a channel to conduct the Universal life force energy. An amazingly simple technique to learn, the ability to use Reiki is not taught in the usual sense, but is transferred to the student during a Reiki class. This ability is passed on during ‘attunements’ given by a Reiki Master and allows the student to tap into an unlimited supply of ‘life force energy’ to improve one's health and enhance the quality of life. While Reiki is spiritual in nature, it is not a religion. It has no dogma and there is nothing you must believe in order to learn and use Reiki. 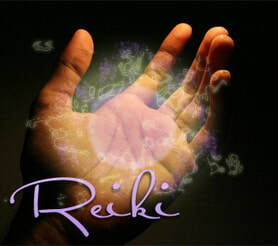 In fact, Reiki is not dependent on belief at all and will work whether you believe in it or not. Because Reiki comes from the Creative Source, many people find that using Reiki puts them more in touch with their religion rather than having only an intellectual concept of it. If you have the intent to help yourself and others, and are willing to let this healing power flow through you, then you can become a channel for the Reiki force. Once you are a channel then the ability to use Reiki remains within you for the rest of your life. While Reiki is not a religion, it is still important to live and act in a way that promotes harmony with others. Dr. Mikao Usui, the founder of the modern Reiki system of natural healing, recommended that one practice certain simple ethical ideals to promote peace and harmony, which are nearly universal across all cultures. These are known as the ‘Reiki Principles’ (see left). We are alive because life force is flowing through us. Life force flows within the physical body through pathways called chakras (energy centres), meridians and nadis. It also flows around us in a field of energy called the aura. Life force nourishes the organs and cells of the body, supporting them in their vital functions. When this flow of life force is disrupted, it causes diminished function in one or more of the organs and cells of the physical body. Reiki is intelligent energy that goes where it is most needed to bring the body back into balance. All healers use life force or Ki, but not all use Reiki. Reiki energy can only be channelled by someone who has been attuned to it. People who already do healing work consistently report an increase of at least fifty percent in the strength of their healing energies after taking the Reiki training. In addition, because the practitioner does not direct the healing and does not decide what to work on or what to heal, the practitioner is not in danger of taking on the karma of the client. Because the practitioner is not doing the healing, it is also much easier for the ego to stay out of the way and allow the presence of God to clearly shine through. Because it is a channelled healing, the Reiki practitioner's energies are never depleted. In fact, the Reiki consciousness considers both practitioner and client to be in need of healing, so both receive treatment. Because of this, giving a treatment always increases one's energy and leaves one surrounded with loving feelings of well-being. The traditional Reiki legacy is as ancient as 2,500 BC, maybe older. It thrived during Buddha’s time, later used as a tool to heal the minds and spirits of the monks seeking enlightenment. As Buddhism spread from India, Reiki evolved and changed hands and was almost lost. Often in troubled times, sacred texts and esoteric knowledge go underground, to be kept safe until mankind is again ready to respect such knowledge and use it wisely. Reiki was rediscovered by Dr Mikao Usui (1865–1926) in Japan towards the end of the 19th Century and he is regarded as the founder of the Usui System of Reiki. It is claimed that by a mystical revelation Usui gained the knowledge and spiritual power to apply, and attune others to, what he called ‘Reiki’, which entered his body through his crown chakra. Initially Usui regarded Reiki as an instrument for spiritual enlightenment, its healing application came later. In April 1922, Usui moved to Tokyo and founded the Usui Reiki Ryōhō Gakkai (meaning Usui's Spiritual Energy Therapy Method Society) in order to treat people with Reiki on a large scale. On 9 March 1926, while teaching Reiki in Fukuyama, Usui suffered a stroke and died. According to the inscription on his memorial stone, Usui taught his system of Reiki to over 2000 people during his lifetime, and sixteen of these students continued their training to reach a level equivalent to the Western Third - or 'Master/Teacher' - Degree. Before Usui's death, Chujiro Hayashi (1880 - 1940), retired Commander, Japanese Naval Reserve, Medical Doctor, and student of Usui Reiki, approached Usui about developing a different form of Reiki that was much simpler. Usui agreed. 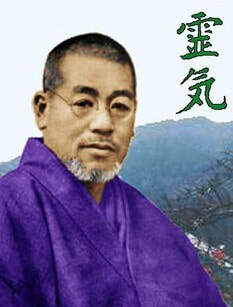 After Usui's death, Hayashi left the Usui Reiki Ryōhō Gakkai and formed his own clinic where he gave Reiki treatments, taught, and attuned people to Reiki. 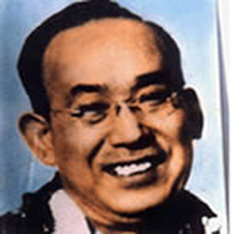 It was to this clinic that Hawayo Takata (1900 – 1980) was directed in the 1930s. After Hawayo Takata received multiple Reiki sessions from Hayashi's trainees at his clinic, for illnesses including abdominal pain and asthma, Hayashi initiated and trained her to use Reiki, and she became a Reiki Master on 21 February 1938. 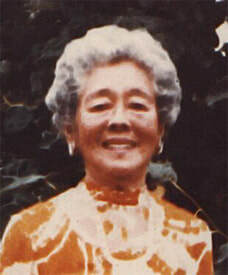 Hawayo Takata was a Japanese-American, born in Hawaii, who simplified the Reiki teachings, stressing physical healing and using a simpler set of Reiki techniques. Hawayo Takata established several Reiki clinics throughout Hawaii and then went on to travel throughout the United States, practising Reiki and teaching the first two levels to others, but it was not until 1970 that Takata began initiating Reiki Masters. At this stage, Takata also introduced the term Reiki Master for the third level. She stressed the importance of charging money for Reiki treatments and teachings, and fixed a price of $10,000 (roughly £6,500) for the Master training. Hawayo Takata died on 11 December 1980, by which time she had trained 22 Reiki Masters. Almost all Reiki taught outside Japan can be attributed to her work. A Spiritual Healer is a person who is spiritually, physically and biologically adaptable as a channel between the Source of supply of Universal energy and the client. The key to Reiki is provided by the energy attunements. The word ‘attunement’ also means ‘initiation’ and in Sanskrit translates to mean ‘empowerment’. Reiki empowers everyone who receives it. A Reiki attunement must be given in the physical presence of a Reiki Master/Teacher. It cannot be done via the internet or telephone. The attunements differentiate Reiki from all other healing methods. They allow the Life Force Energy to flow through you more intensely. There is sacredness within the attunement. It is a rite of passage, a ritual of moving through a gateway from one awareness to another. During a Reiki attunement, the receiver is given a sacred gift which will change their life for ever in very positive ways. Once committed to Reiki, you pledge yourself to both learn and work. Becoming a channel for healing is not an intellectual process, rather it is an ongoing process of inner spiritual growth and a refining of your sensitivity. The person who is attuned as a Reiki healer has the body’s energy channels opened and cleared of obstructions by the Reiki attunements. They receive an increase in life force energy (‘Life Source Energy’) for their own healing, and become connected to the Source of Universal Ki. A Reiki attunement connects the receiver in an increased way to their limitless Source. This Life Source Energy is the Source of Life itself, and far older in concept than any religious philosophy. Upon receiving the first attunement in Reiki 1, the receiver becomes a channel for this Universal healing energy from the time of attunement for the rest of their life. The new Reiki healer only needs to place his/her hands on self or others with the intent to heal, and the energy will flow automatically, increasing the life force energy of the person receiving the energy. As the auras of the Reiki Master/Teacher and student meet and blend, a channel opens and obstructions or blockages are released by the Reiki transmissions of energy which form part of the attunements. At each attunement, a cleansing takes place on a physical, emotional, mental or Spiritual level. As a result, the karma, or old baggage of negative thoughts and emotions, begins to release, and is removed through the aura of the Master/Teacher. It is up to the student to allow the full effect to happen. The attunement can be blocked or resisted by the student. The Master cannot force or stop this cleansing. In modern Reiki in the Western world, three attunements are usually given, rather than the more complicated ‘traditional’ Japanese way which involves several more attunements. There is usually one attunement each for Reiki 1, Reiki 2 and Reiki 3 (Master/Teacher level) though some teachers divide Reiki 3 into two sections, ‘Master’ and ‘Teaching’. Focuses on physical healing and self-healing. The student receives the first attunement. We must cleanse and heal ourselves first and foremost, before the work can be done for others. The aura and chakras have their first cleansing release. This degree opens the student to utilizing Reiki for family, friends, animals, food, plants, home and workplace, as well as his/her own physical body. Reiki energy is for the good of all, not just humans. Reiki 2 assists with addictions and clears negative thinking patterns and emotional problems. Distance healing – sending Reiki to someone nearby or on the other side of the world, distance no object - is now learned and practised. Students are given three of the five Reiki symbols – what they mean, how they function and how to use them. Following a Reiki 2 initiation you may use the Reiki symbols and do distant healing. You may now use Reiki on the public. The student receives the third attunement. The last two symbols of the five are taught. The student learns how to teach the three Degrees and give attunements to others. No harm is ever done to the giver or receiver of Reiki. We were not meant to come to Earth alone; everyone has a series of spirit guides assigned to us for help and healing. Everyone has a life guide, who remains with us throughout the incarnation. This is usually a guide who helps us accomplish our life’s work. Other guides come for a specific purpose and leave when that purpose is fulfilled. Some remain in contact for a long time, while others may stay only for a day or a week. Some guides appear in groups and work together for specific purposes. Spirit guides are fully positive beings. Any entity that directs you to do something against your will, or that you know to be wrong, is not a guide. A guide does not tell you what to do and only offers an opinion when asked. They do not violate free will or make your choices for you, or intervene in lessons or decisions. They are instrumental in supervising and overseeing learning processes, providing protection, bringing [spiritual] gifts, aiding your life’s work and helping any work you do for others. A healer always has guides to help her in her healings. A Reiki spirit guide is assigned to every healer from the time of her First Degree. 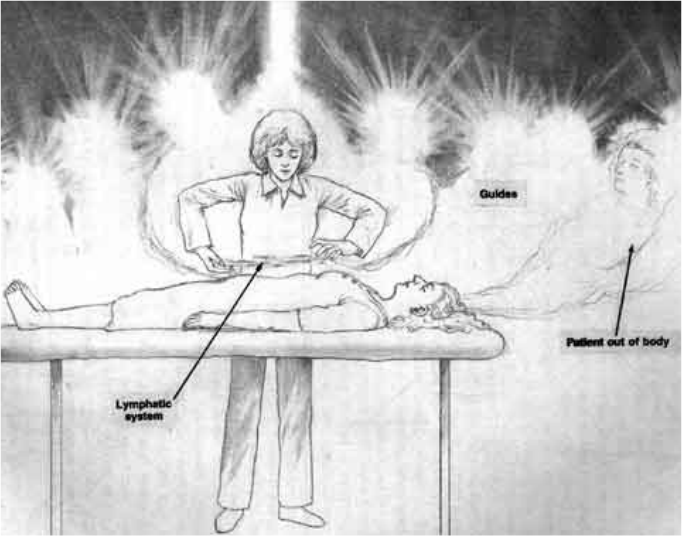 As soon as the energy begins to flow in a healing, the Reiki guides appear. If they are needed in the session, they take part. By the time a healer receives Reiki 2, their presence is hard to ignore. One guide with Reiki 1 becomes several with the Second and Third Degrees. For someone who has never worked with guides, meeting spirit and Reiki guides can be a gradual awareness. For a Reiki 2 healer, it is almost inevitable that she will start working with guides. Reiki guides make healing a joy and a wonder, and their presence causes miracles to happen, both in Reiki and in daily life. Some people will speak of connecting with new healing energies after becoming attuned to Reiki or having worked regularly with Reiki. They often attribute these energies to spiritual helpers or Reiki guides. To begin working with spirit guides, first be aware of them. Ask to be shown how best you can work with them in healings. At the start of a Reiki session, invite them in – state the request for “all positive healers and guides who wish to help”. Once they know you are aware of them, and trying to make clearer contact, they begin helping you to do so. Once you begin to acknowledge their presence and thank them for it, they become more noticeable. Some people hear guided information, others may feel their presence, they may even feel as though there is an extra pair of hands doing the treatment or that their hands are being guided to a problem area, although that is also intuition. Others receive visual impressions – perhaps of the guide, of colours or of light forms. Some guides come with a fragrance of flowers or incense. When you hear that quiet voice, pay attention to it. When there are extra hands in the healing, thank them. The Reiki guides’ primary purpose in working with healers is to protect Reiki, and to use it for the best good of all. They want Reiki to be universal again, as it once was before.